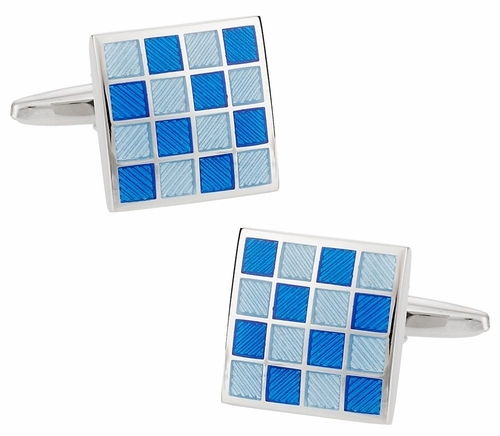 Cool light and dark blue alternate spots on Blue Checkerboard Enamel Cufflinks. The subdued colors work great with more conservative shirts, such as those worn on the job or during business seminars. Both the dark and light blue colors come from an enamel coating that bolsters the long lasting durability of the cufflinks. 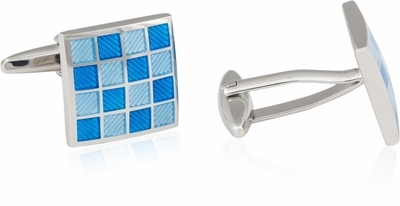 These cufflinks also complement the design of French cuff shirts. 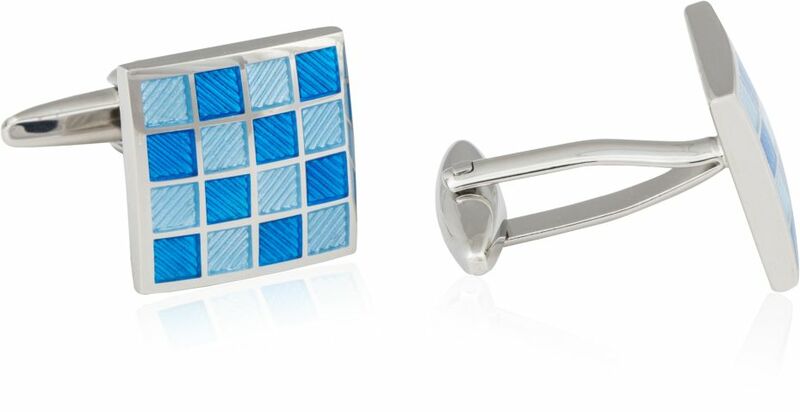 Give someone who has a fine taste in clothing this pair of cufflinks during the holidays.